Our database contains a registry of Dog Trainers across North Carolina. We guarantee that you'll find a dog trainer to fit your needs. You live in North Carolina, simply click below to search the state by state listings of available dog trainer. Our easy to use database will guide you to the perfect location. 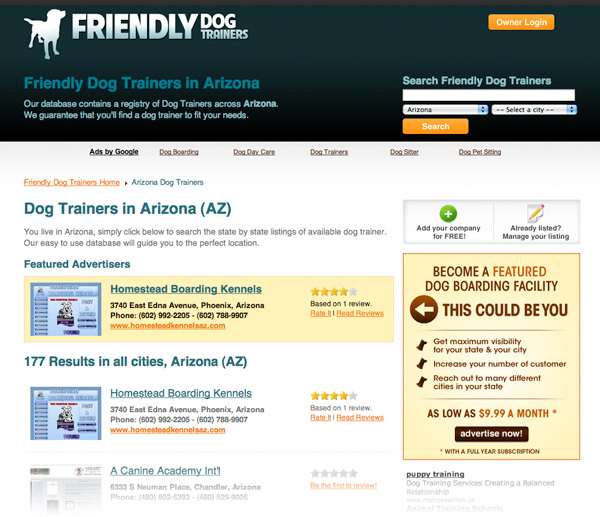 A Dog Trainers site that's a cut above the rest! Come visit us today!